Placed at a proximate distance from the famous tourist attractions, Sai Gardens Holiday Resort Country Club provides a relaxing stay. 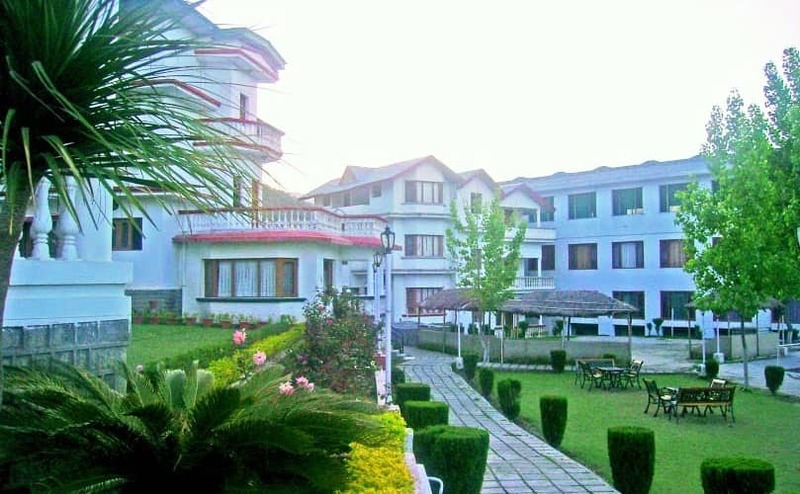 Conveniently located at a close proximity from Shiva Mandir, Sai Gardens Holiday Resort Country Club is a budget property in Palampur offering a pleasant stay to its guests. The hotel has 57 well-appointed rooms, spread across 3 floors. Some of the amenities offered within the room include television, tea/coffee maker, wardrobe, room heater, wakeup call and bathroom with hot/cold running water. Sai Gardens Holiday Resort Country Club offers services like room service. Front desk and parking are few of the facilities available within the premises. Places of interest and travel hubs in Palampur include Palampur Himachal Railway Station (7 km), Panchrukhi Railway Station (12 km), Tea Gardens (1 km) and Chamunda Devi Mandir (20 km). What people love the most about this property is its great location and classy ambiance. Book now and enjoy world-class services at Sai Gardens Holiday Resort Country Club. "Sai Gardens Holiday Resort & Country Club"
Wonderful stay in this hotel. If you are looking for peace & Nature stay in Palampur then this is best hotel to stay. The rooms were very clean & service standard is on top level. Staff is very co-operative & friendly. I recommend families, friends & couples to stay in this hotel. I had a very good time here. Good job!!! Rude and Abusive staff. Specially Manager on front desk who pick enquiry calls. Seems like they don't even care. Not good for family, specially for kids as it leaves then with very very bad impression. Room service also very very bad . very peaceful hotel, if you are looking for peace, & nature stay in this hotel, good hotel but only problem is no intercom, but they will give you their mobile no. you can call them any time for any help nice place to stay. Villa in front of the entrance is very good . Please take everything in writing before making any payments.